The Global Galacto-Oligosaccharides Market growth is anticipated to gain traction due to the increasing in the customer related to consumption of galacto-oligosaccharides for effective functioning of body functions. Galacto-oligosaccharides are composed of galactose molecules, which are broken down by beneficial colonic bacteria into gases and short-chain fatty acids (to be absorbed and used by the body. Galacto-oligosaccharides are obtained from dairy products, beans, and certain root vegetables. They can also be consumed through some prebiotic and soluble fiber supplements. These are used in medicines for treatment of asthma, skin diseases, digestive disorders, food allergies, and colon cancer among others. It assists in promotion of the growth of beneficial Bifidobacteria in the large intestine. Galacto-oligosaccharides are used in food and dietary supplements, and pharmaceutical. The increasing geriatric population and rising health concerns drive the growth of the global Galacto-oligosaccharides market. There has been increasing awareness among consumers regarding the consumption of Galacto-oligosaccharides for efficient functioning of bodily functions, which supplement the growth of the market. Increasing consumption of dietary supplements, and growing demand for functional food across the world also accelerate the Galacto-oligosaccharides market growth. Other factors driving the market include improving lifestyles, and increasing disposable income, especially in the emerging economies of Asia-Pacific. Growing demand from emerging economies, increasing consumer awareness, rising use of Galacto-oligosaccharides in dietary supplements, and increasing concerns regarding preventive healthcare are factors expected to provide numerous growth opportunities for Galacto-oligosaccharides market in the coming years. The global Galacto-oligosaccharides s market is segmented on the basis of application, distribution channel, and geography. Geographically, the global Galacto-oligosaccharides s market is categorized into North America, Europe, Asia Pacific, Latin America, and Middle East & Africa. 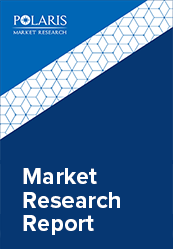 On the basis of geography, Europe is expected to dominate the global Galacto-oligosaccharides market in 2017. The rising geriatric population in the region, and high disposable income drive the Galacto-oligosaccharides market growth in Europe. The increasing demand of health products in the region along with increasing awareness regarding benefits of Galacto-oligosaccharides further supports Galacto-oligosaccharides market growth. The increasing consumption of low-fat milk products, yogurt, and low-fat tea & coffee in the region along with presence of numerous local players catering to the growing consumer needs has increased the adoption of Galacto-oligosaccharides in the region.